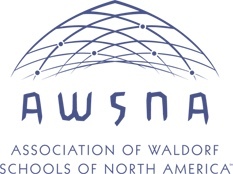 Tucson Waldorf School’s Afternoon Program serves the families of our school community by offering a relaxed, stress-free, and home-like environment for nursery, kindergarten and all grades children. The program runs daily for nursery and kindergarten children with separate programs for the children in grades 1 – 8. The Afternoon Program is based on the same nurturing, pedagogical approach that guides the children’s day in the Morning Program. It provides a restful contrast to the busy school day within which children are free to explore. It is often called the ‘out breath’ of the day. Early morning care is available from 7:45am to 8:30am. The afternoon program provides a gentle afternoon rhythm of indoor play, drawing, nap-time, snack and outdoor play. Afternoon snack is shared together at 3:30pm. Outdoor playtime and stories continue until the final pick-up at 5:30pm. Early morning care is available from 7:45am to 8:30am. At 2:10pm, first and second graders are dismissed and are received by the Extended Day teacher. 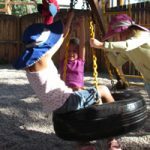 Grades 1-3 children enjoy a rhythm as dependable as their school day: they enjoy free play outside and each day of the week is dedicated to a craft or art activity. Each week unfolds their cycle of daily activities: painting, yarn, beading, sewing, and cooperative games. Clay modeling is a favorite with many. 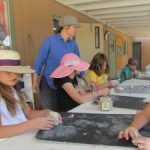 Turtles, birds, fairy furniture, nests and baskets full of eggs, pancakes and s’mores, pots and bottles all come to being out of the children’s bountiful imaginations when working with the clay. They exhibit such joy in the process of creation. They recently burst with artistic inspiration upon discovering our beautiful ground chalks. 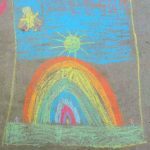 The concrete walkways are often adorned with rainbows, planets, and princesses in fancy dresses. Each day at 3:30pm, all children and the teacher sit together to enjoy a nutritious snack provided from home. Outdoor free play with fort building, sidewalk chalk drawing, games and more continue until final pick-up at 5:30pm. Early morning care is available from 7:45am. to 8:30am. In the afternoon, students are dismissed from class at 3:00pm and are received by the extended day teacher. 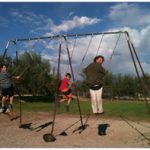 They may choose free play outside, games, crafts or reading, and will go into a classroom for homework or other indoor activities towards the end of the day. Final pick-up at 5:30pm. *Please note, students in grade 3 spend the morning before care with grades 4-8 and are with grades 1-2 in the afternoons.